Whiffy Wax sent me some Wax Melts and the Black Tea & Jasmine candle for review. I just literally cannot get enough of this scent, it is simply stunning! It is floral and yet it has an almost spicy and warm layer to it as well and I don’t think I could ever do the scent justice using mere words. The candles like the Wax Melts are made from high quality soy wax and they scent is not overpowering and produces a lovely level of scent. Now we all know the famous brand of candles available on the high street and my daughters have had quite a few of those over the years and they cost a small fortune. Also you cannot beat buying from the small artisnal style brands, they offer a level of customer service that cannot be replicated by the big brands. 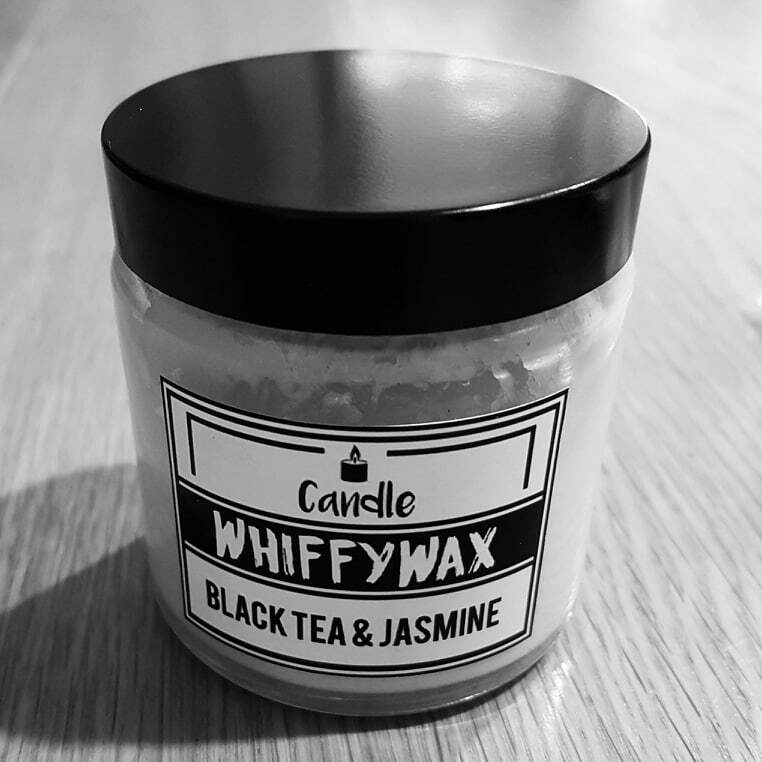 I have the 60ml candle that burns for up to 13 hours and costs £5.00 and there is a 120ml available that burns for up to 25 hours and costs £8.00 from the Whiffy Wax website. You can keep up to date with Whiffy Wax on Facebook, Instagram and Twitter.